Welcome to ALTECH manufacturers of quality labelling machinery. At ALTech we only make labelling machines; labelling machines to suit almost any level of requirement and to label virtually every product imaginable! 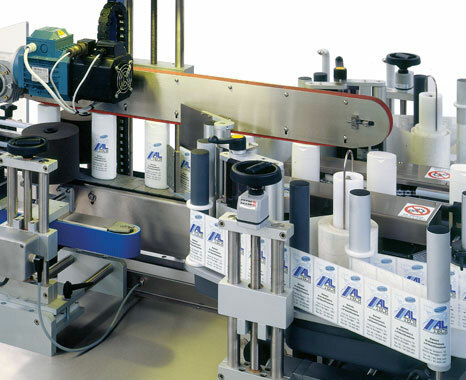 Our core machinery range includes simple label dispensers, budget label applicators, high performance labellers, real time print and apply labelling machines (with or without integrated conveyor handling systems) and both standalone and in-line linear labelling systems, uniquely configured to customers exact requirements. With ever changing times we are constantly striving to innovate, improve, and advance our labelling machines, in order to supply our customers with the best automatic labelling solution for their needs. We ensure that our machines are always at the top of the market in terms of performance, cost and reliability, passing on the economies afforded to us as a major manufacturer, to offer the highest quality product possible. Our website will hopefully give you a good overview of the products and services we offer, guiding you to a range of machines and solutions that could meet your needs. However, it is by no means everything we do. If you have a labelling requirement you would like to discuss with our expert team please call or email us; our contact details are at the bottom of every page of our site.